We grow a range of varieties, selected for their scent and the beauty of their flowers. 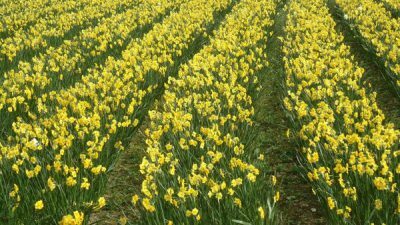 We also look at the time during the season in which they flower, as to provide a steady supply we need varieties to follow on from each other throughout the season. Many of our varieties were specially bred at Rosewarne here in Cornwall. We grow both white and yellow varieties giving us a continuous supply through the winter months, and where necessary we buy from other Cornish farms to help provide enough flowers for demand at peak times. 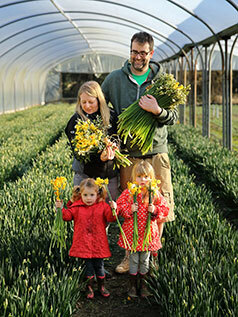 Scented Narcissi are available to send with our flowers by post service from November through to early April each year. 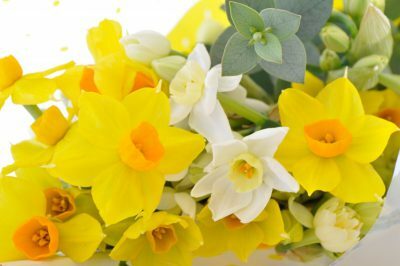 We try to send a mixture of both yellow and white varieties in our scented narcissi bouquets.